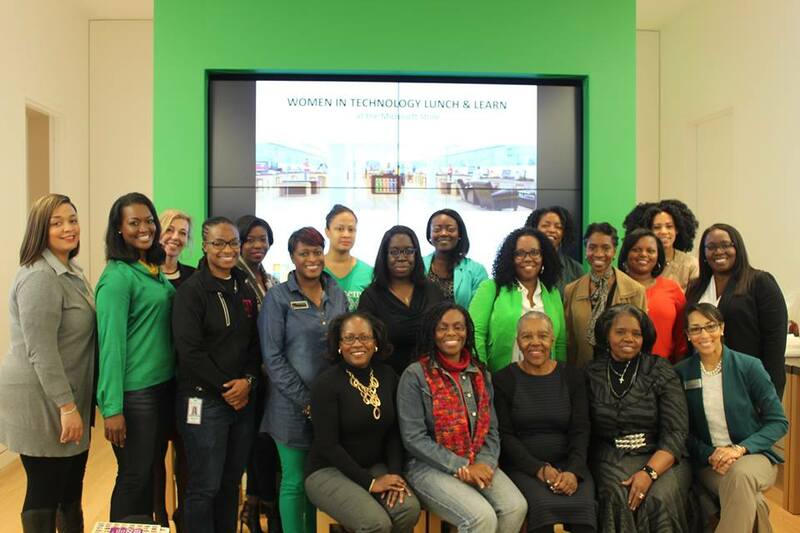 On Friday, March 17th 2017, ABC Womens League in conjunction with MCAT and TheMarketPlaceUSA hosted its annual Women in Technology Lunch and Learn at the Microsoft Store Lenox Mall. Special Thanks to Keshona Lawrence and the T-Moblie Team for an informative presentation on Social Media Branding and JaNay Wilborn, Community Relations Manager Microsoft Store for hosting this event each year. If you would like more information on how you can become involved with the Women’s League please contact Michelle Glover at connect@ambcc.org See our calendar for additional events. About the WOMEN’s LEAGUE The ABC Women’s League is comprised of a diverse group of female entrepreneurs, corporate executives, and organizational leaders in various fields of business, community, and government who serve as change agents within their prospective fields.